The Chevrolet Detroit Grand Prix presented by Lear returns to the Motor City May 31-June 2, 2019. The event will feature the cars of the NTT IndyCar Series, the IMSA WeatherTech SportsCar Championship and the Trans Am Series presented by Pirelli. The weekend collectively is referred to as the Chevrolet Detroit Grand Prix presented by Lear and it will feature the Chevrolet Dual in Detroit IndyCar doubleheader. The first Detroit Grand Prix was in 1982 and it started as a Formula One race through the streets of downtown Detroit before becoming a CART-sanctioned race in 1989. The race moved to Belle Isle in 1992 continuing under the CART/Champ Car banner until 2001. After the success of the Super Bowl in Detroit in 2006, Roger Penske and the Downtown Detroit Partnership (DDP) teamed up to bring an annual national sporting event to the city of Detroit and spearheaded the return of the Grand Prix in 2007 on Belle Isle. After challenging economic times delayed the event after the 2008 season, the Grand Prix returned in 2012 with the current promotional group as a subsidiary of the DDP. Two former NTT IndyCar Series champions and Indy 500 winners captured victories in the 2018 Chevrolet Dual in Detroit IndyCar races on Belle Isle. Scott Dixon of Ganassi Racing won Saturday's Dual I to secure his 42nd career victory and his second trip to the top step of the podium on Belle Isle, to go along with his 2012 Detroit triumph. The win helped spur Dixon to his fifth career NTT IndyCar Series championship. In Sunday's Dual II, 2012 NTT IndyCar Series champ Ryan Hunter-Reay outdueled his Andretti Autosport teammate Alexander Rossi for his first career win on Belle Isle. Fulfilling a promise he made the day before after finishing second in Dual I, Hunter-Reay jumped in the chilly waters of Scott Fountain to celebrate his first series win since 2015. In Saturday's IMSA WeatherTech SportsCar Championship Chevrolet Sports Car Classic race, General Motors extended its Belle Isle win streak to seven consecutive races as Cadillac claimed the top spot with a Prototype class victory. The No. 31 Whelen Engineering Cadillac DPi-V.R co-driven by Brazilian Felipe Nasr and American Eric Curran scored the win for the Action Express Racing team as GM once again celebrated in the shadows of its world headquarters in downtown Detroit. The Grand Prix features a number of exciting engagement activities in the Meijer Fan Zone. Live music - highlighted by country music superstar Frankie Ballard performing on Saturday night, while legendary rock band Stone Temple Pilots headline the Entertainment Stage on Sunday with a matinee concert - autograph sessions from all racing series and interactive games and displays will be featured throughout the weekend. Fans can visit DetroitGP.com/Tickets or call 866-464-7749 (PRIX) to purchase tickets. Tickets start as low as $45. The 2019 Grand Prix will feature several new enhancements for fans to enjoy, including admission to the Fifth Third Bank Paddock for ALL ticketholders, new seating options and more access than ever before. Learn more about all the changes planned for 2019 here. The Grand Prix has annually generated over $45 million in total spending annually for the Metro Detroit region. An independent study concluded the Grand Prix created an estimated $58 million in total spending for the Metro Detroit region in 2017. Over 95,000 people attended the Chevrolet Detroit Grand Prix presented by Lear events in 2007, 2008, 2012, 2013, 2014, 2016, 2017 and 2018. The Grand Prix featured support from 75 local and national partners in 2018. The total included 11 new partners and 26 sponsors that have been part of the race since the event returned in 2012. Visit the Chevrolet Detroit Grand Prix presented by Lear on Facebook at www.Facebook.com/DetroitGP. Follow the Chevrolet Detroit Grand Prix presented by Lear on Twitter at www.Twitter.com/DetroitGP. Follow the Chevrolet Detroit Grand Prix presented by Lear on Instagram at www.Instagram.com/DetroitGP. Subscribe to the Chevrolet Detroit Grand Prix presented by Lear on YouTube at https://www.youtube.com/user/TheDBIGP/. 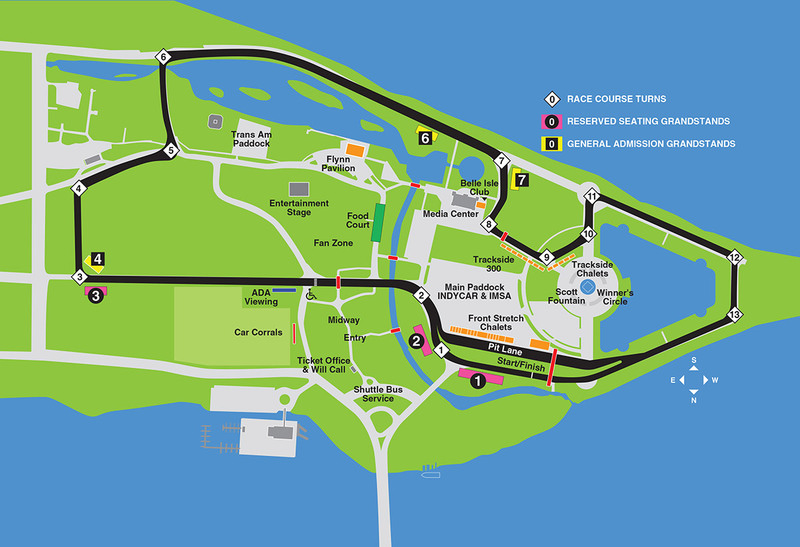 For complete information on the Chevrolet Detroit Grand Prix presented by Lear, visit www.DetroitGP.com.